$7.00 per day, discounts apply per week or month. 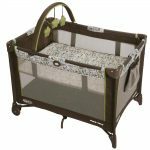 The Toddler Travel Bed is perfect for sleepovers, travel, and for kids transitioning to a big bed. Kids feel secure and cozy, and right at home, thanks to the portable air bed’s unique design. Constructed with the safest materials, The Shrunks Travel Beds are Phthalates-safe, BpA-safe and Lead-safe. Maximum weight capacity 150 lbs, 68 kg. Designed to offer comfort and safety, Shrunks Tuckaire Toddler Travel Bed makes for a safe night’s sleep for kids. 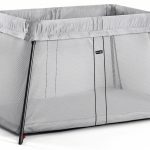 The portable bed allows standard crib size sheets and blankets to be tucked neatly into the inner mattress, keeping the sheets off the floor. It’s lightweight, folds easily and inflates in just about 5 minutes. 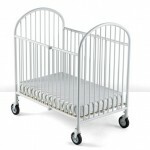 Special signature rails protect kids from rolling off.